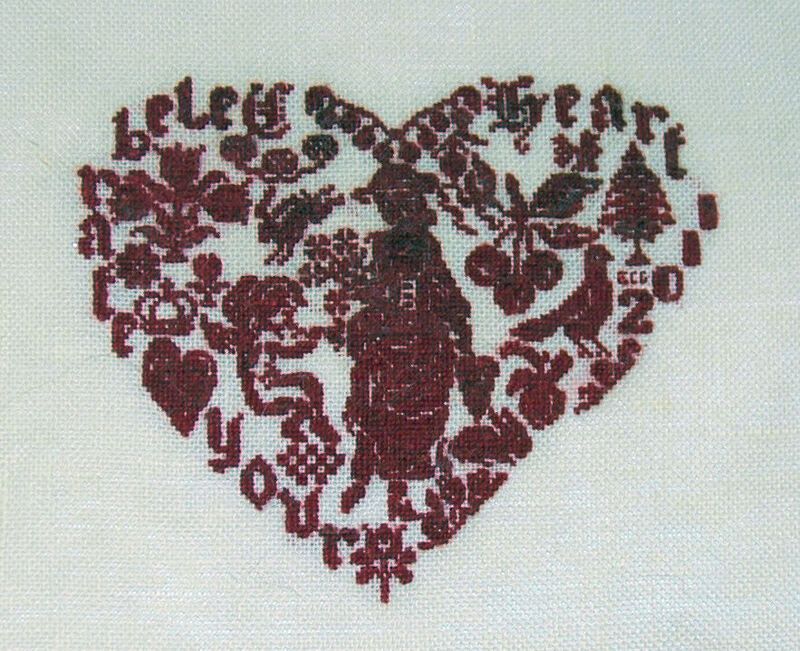 Bits of My Own: Celebrate your Heart is finished! Celebrate your Heart is finished! Not without some problems though! I kept running into a mistake I made early on. I kept thinking I had corrected for it. but nooooo! I kept running into it. The heart shape is much like a circle and can be a nightmare if the ends don't meet! It seems slightly askew to me, but I am very glad that it is done! I added my very teeny, tiny initials just under the Christmas tree, near the date. I hope to get it framed shortly. I didn't really know what to do for my next project. I decided to stitch "Nil aon tintean mar do thintean fein". 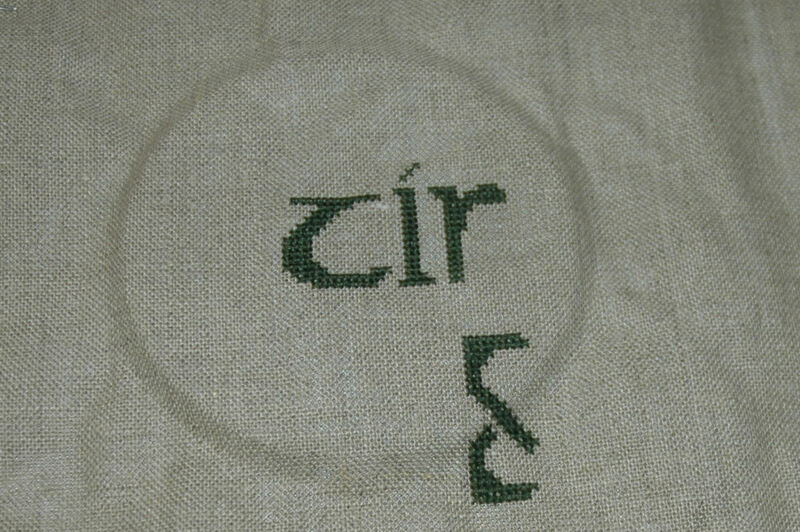 This is Gaelic and translates to"There's no hearth like your own hearth", or "Home Sweet Home". This is a freebie that I found on http://gryphonsmoon.com/freebies/cross-stitch1.pdf . I enjoy stitching these letters. Years ago I did calligraphy, and I always enjoyed writing in the Uncial hand. After the 1 over 1 on 40 count, this looks absolutely HUGE to me! I had to keep checking that it was indeed 32 count, and it is! If I did it again, I might do it on 36 ct though. It is still very much winter here. Our latest storm on Monday, dumped another 6 inches or so on us. Our furnace is not working very well so we have to use our woodstove to supplement the heat. Somehow or other I managed to hurt my back. It is just killing me. I can't seem to get comfortable in any position! Carrying wood in does not help either! To make matters worse, today I managed to burn my hand. Nothing serious, just annoying! I am hoping it does not leave a scar. Ah Winter! Can spring be far behind? Huge congratulations on your finish! Now that's an accomplishment! And it's gorgeous too! Love your new start too. Isn't it funny how something looks so huge after doing over one? lol! Love the finish! That's a lot of tiny stitches! Great new start! Congratulations!! It looks amazing. I like your new project too. Hope your back stops hurting soon. Finally some progress on Celebrate your Heart!